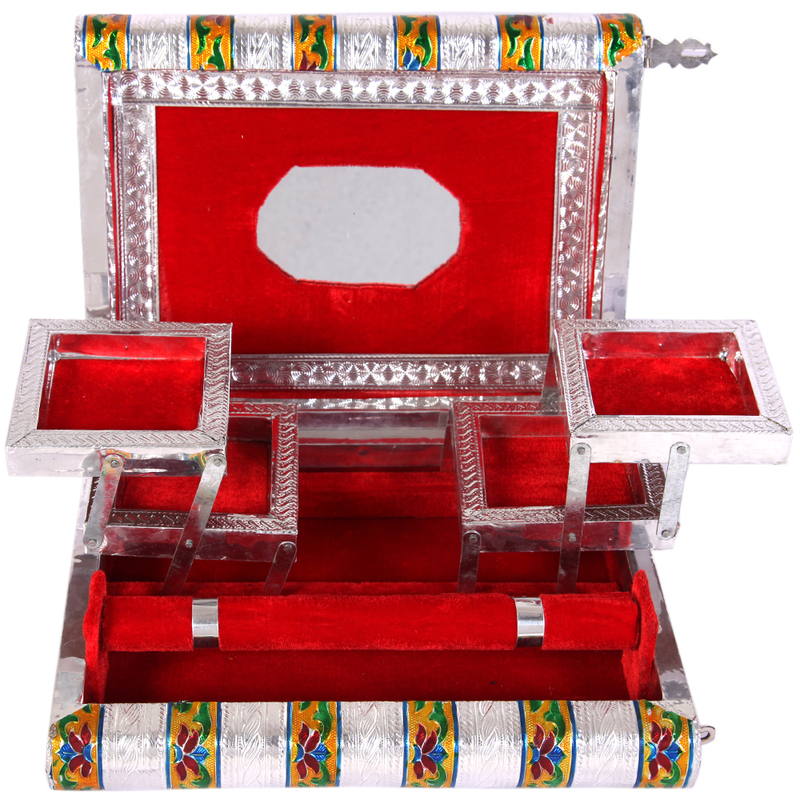 This Metal Sheet on Wood Jewellery Box with Meenakari Work is the best choice for keeping all the valuable jewelries because of its sturdy and Read More..yet aesthetically refined design. 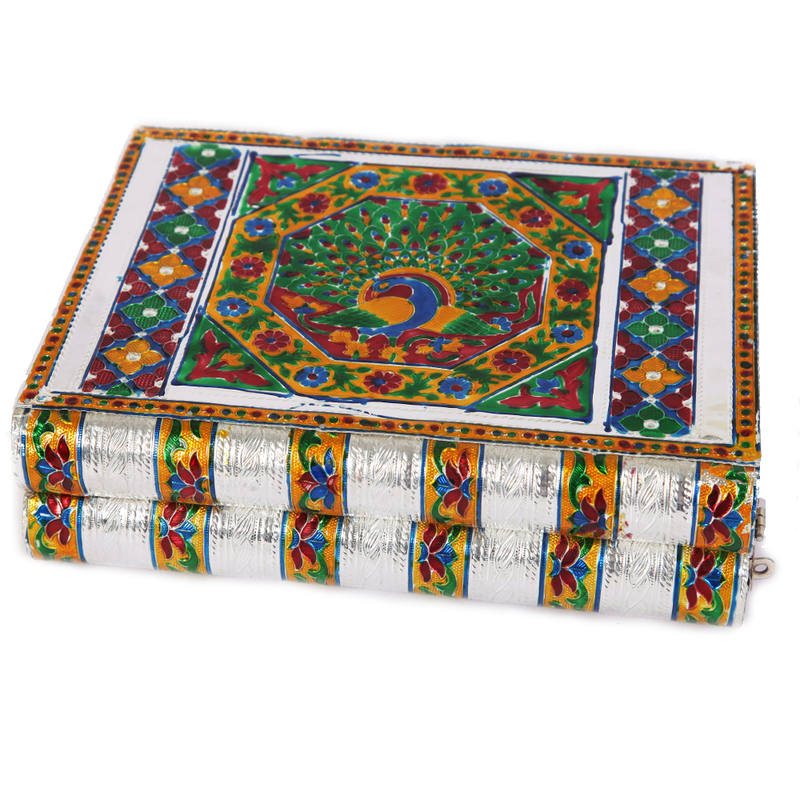 The metal sheet on wooden body boasts of intricate design work, while the quality wood used for its construction adds to the reliability of this piece for holding something as precious as pieces of jewelry. Finally, the scarlet interiors nicely complement the silver hue of the metallic sheet present on this box. Show Less..